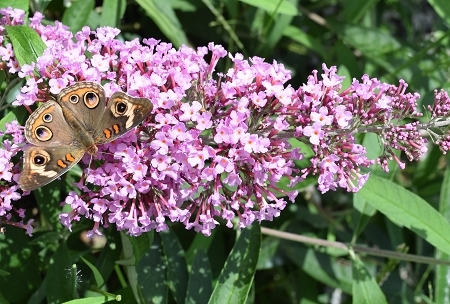 Summer Beauty Butterfly Bush (buddleia davidii 'summer beauty')- Fragrant rose pink blooms from June through early October attracts masses of butterflies to the garden. Growing into a stately bush up to about 6' tall by 4' wide, beautiful in mass plantings or for the back border of the garden. Prefers sun and well drained soil, good drought resistant once established. Perennial zones 5-10. Live plant in 3 inch container.